Many men and women struggle to remove a stubborn double chin that is commonly caused by high-calorie diet, weight gain, age and genetics that affect the elasticity of the skin, the amount of fat and water retention in the chin area. On the other hand some people have slim bodies yet were born with a weak jawline that looked full under the chin. Regardless of the cause, having a weak jawline and a double chin are not very attractive. Fortunately, there are two safe and effective treatment options available to eliminate fat underneath the skin without surgery or recovery time. Removing fat from a targeted area on the face or body is not easy with diet and exercise alone. That’s where CoolSculpting comes in. CoolSculpting in Singapore is a US FDA-cleared safe fat removal procedure that uses controlled cooling called “Cryolipolysis” technology to “freeze” and eliminate excess fat on the chin area. 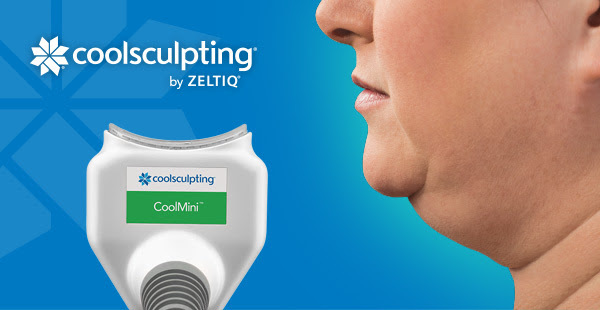 With the CoolMini applicator, a specialized applicator for the chin, the CoolSculpting technology exposes the fat cells underneath the chin to a precise cold temperature without harming the skin or other tissues. Exposure to cooling destroys the fat cells and begins a process of natural removal in the patient’s body, which gradually reduces the thickness of the fat layer. Besides from treating the double chin, CoolMini can also treat other small areas of fat deposits such as bra fat and knee fat. Most patients require at least two treatments to see visible results. However, others may need more depending on the severity of the problem. Treatments are generally performed about one month apart, and each session lasts about one hour. After the fat freezing procedure, you may experience some mild swelling and redness on the treated area. As the procedure is completely non-surgical, there is no downtime and you can return to your normal activities immediately. The CoolMini applicator is available at Cutis Laser Clinics in Singapore. Besides from treating the double chin, the CoolSculpting procedure can also treat other common problem areas of the body including the abdomen, back, flanks, as well as the inner and outer thighs. Exilis is one of the latest non-invasive fat reduction procedures to hit the beauty industry. This US FDA-approved procedure uses radiofrequency energy to reduce fat, tighten the skin and contour the face and body. The Exilis fat reduction applicator uses monopolar radiofrequency technology with a controlled cooling system that allows the heat to penetrate into the fat layer (subcutaneous tissue) without harming the skin. Once the fat is exposed to heat, it go to a process of natural death and will be eliminated from the body. Not only does the Exilis procedure reduce fat it can also firm sagging skin on the jaw area to help eliminate the double chin look. In clinical studies, Exilis has been proven to provide noticeable results for fat reduction, face and body contouring, collagen stimulation and tissue tightening without discomfort and downtime. During an Exilis treatment, pulses of controlled energy are delivered to the skin to promote skin tightening and stimulate collagen production. This fat removal treatment gives a warm sensation similar to a hot stone massage. Best of all, Exilis has no significant side effects. Some patients may experience tenderness and redness of the skin. However, choosing a reputable, experienced aesthetic doctor who fully understands the technology can minimize any risks. 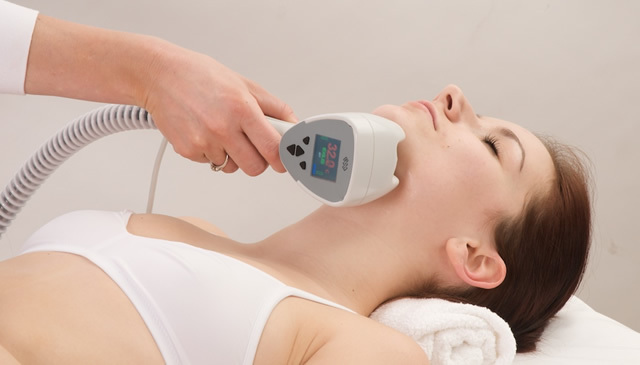 At Cutis Laser Clinics, Exilis and CoolMini can be combined to provide an optimal fat reduction in the double chin without surgery with minimal to no pain or downtime. 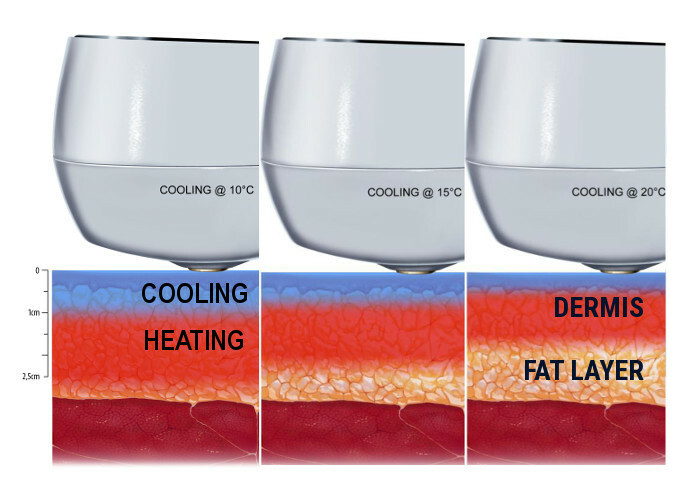 Combining the heat energy of Exilis (fire) with the cooling technology of CoolSculpting (ice), provides a higher efficacy of fat reduction resulting to a well-defined and youthful facial contour. 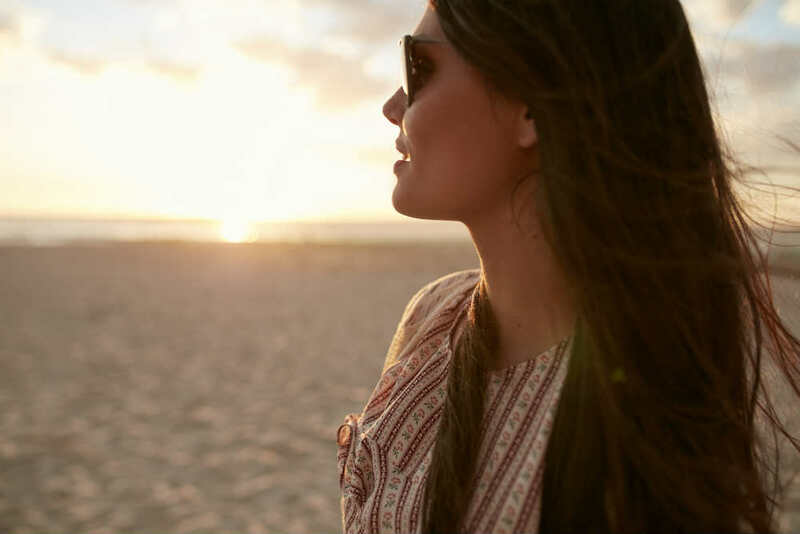 Whether you’re interested in a fat freeze procedure like CoolSculpting or a skin tightening treatment like Exilis, you can now achieve a well-define jawline without surgery. To find out if you’re a good candidate for these procedures, contact Cutis Laser Clinics to schedule a body assessment and consultation with our aesthetic doctor in Singapore, Dr. Sylvia Ramirez.